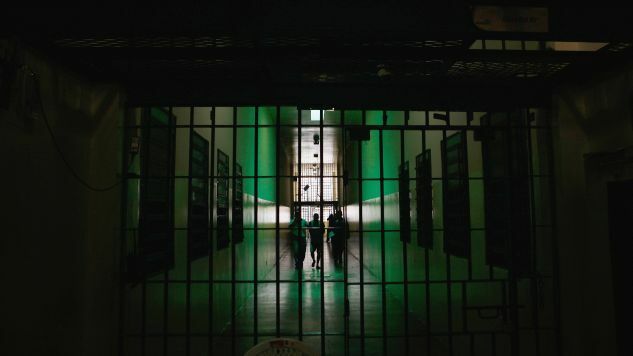 A prison riot in Brazil killed thirty-three inmates on January 6th. This is not a new development in the world of penitentiary bloodshed. The prisons in Roraima, a northern state in Brazil, have recently been the ground of much violence. Last week, similar brutality happened in a prison in Manaus. Friday’s outbreak of deadly action resulted in a spree of decapitation, heart-removal, maiming, and dismemberment. The attackers had broken locks and invaded an area where low-risk prisoners were kept, the news service says. The riot at Roraima’s Monte Cristo penitentiary was eventually put down by elite police forces. Police officials say there were no escapes. Official sources reported that Brazilian drug gangs had been orchestrating the killing sprees at both prisons. The main perps in question are members of the PCC, chiefest and most monstrous of all Brazilian organized crime. According to the newspaper O Estado de Sao Paulo, the country’s second largest drug gang, Red Command (headquartered in Rio), went to the mattresses in a mini-war with PCC. The deadly squabble happened because both organizations want to control Amazon jungle smuggling routes. Time was, the Reds and PCC were allies. They kept illicit substances moving smoothly through the endless, serpentine border of Brazilian jungle. The money and goods go back and forth into Paraguay. Whomever controls the routes gets to be the biggest gang in Brazil. What are we to make of the prison killings? As the tragedy in Fort Lauderdale showed, we are forever at the mercy of others, especially in the closed, controlled, contained public areas we all share. Modern life builds airports, and hospitals, and borders, and prisons, and we all use these spaces. The public treasury erects these structures, because they are in the public’s interest. But unfortunately, the more lucrative the public interest, the more likely private co-optation becomes. To give the most trivial example, we know how much more food costs at the airport. For the budget-savvy, eating before you fly is like praying in Vegas: even when you really need it, you still wonder how you arrived at this point. We all know that private prisons are a blight on civilization. But public prisons also fall victim to the problems of our society. The drug gangs operating in Brazilian penitentiaries are an exaggerated mirror of how our own flawed system functions. There are no beheadings, but we deal in the petty trafficking of drugs and power. Alcohol and tobacco we have declared legal, because they have big money behind them; other drugs do not have this privilege. A tobacco executive can retire to Hawaii, but a boss in the cocaine trade can just as easily leave the business with his heart in his mouth. Our prisons are the result of our drug war, which is the result of private privilege written into public law. American jails dance a nauseating tango with the war on drugs: our cells are filled with people who were caught with weed, or had three strikes against them, or had the temerity to smoke crack instead of snort cocaine. Consider the perfect imbecility of illegalizing substances which, on the most malevolent day of their life, never worked as ill a will on human society as Texas’ marijuana laws. This is not a dictate of nature. We have elected to make it so. The notion of a jungle prison full of head-removing men fighting out a private war might make us narrow our eyes or chuckle awkwardly, depending on our mood. But it’s a global world, as the media keeps telling me. All harbors are the same port, and the banks of the Amazon are not so different from the shores of the Mississippi. What happens in Brazilian prisons echoes in our own jails: not in the habits of violence, but in taking a public space to work out the private dreams of power. We are part of this holding pattern too; and even this author is awaiting the conclusion of the sentence.